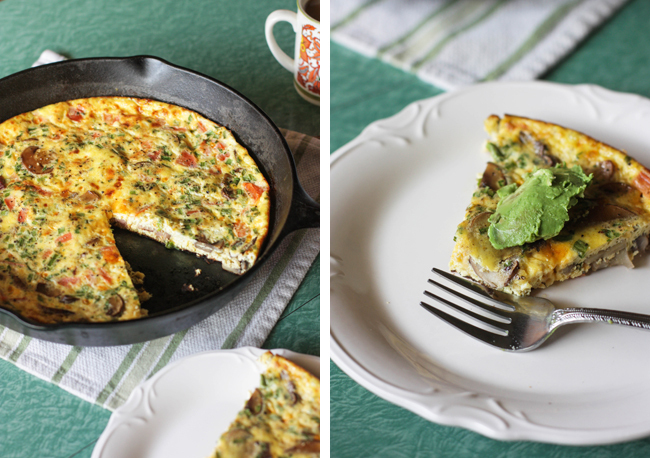 Frittata is a fun word. It's also delicious, and really simple to make. I started chopping things up for a scramble yesterday morning, but decided to try something different. So glad I did! Tommy and I ate two pieces each, and I seriously considered having a third. 2. 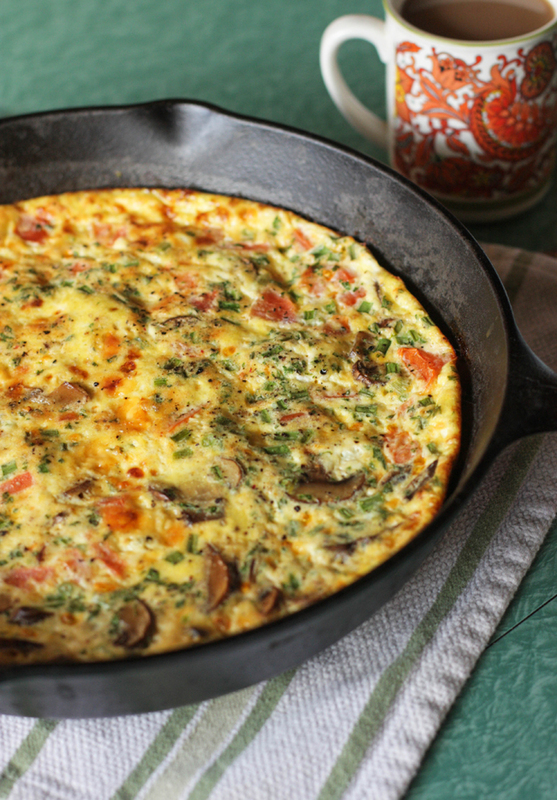 Add ham and mushrooms to skillet on medium-high heat and cook until mushrooms are soft. Season with salt and pepper. 2. In a large bowl, whisk eggs until combined and slightly fluffy. Add milk, sour cream, parsley, green onions and whisk until well combined. Stir in cheddar cheese and tomatoes. Season with salt and pepper. 3. Grease an oven-safe skillet with butter/oil and turn on medium heat. 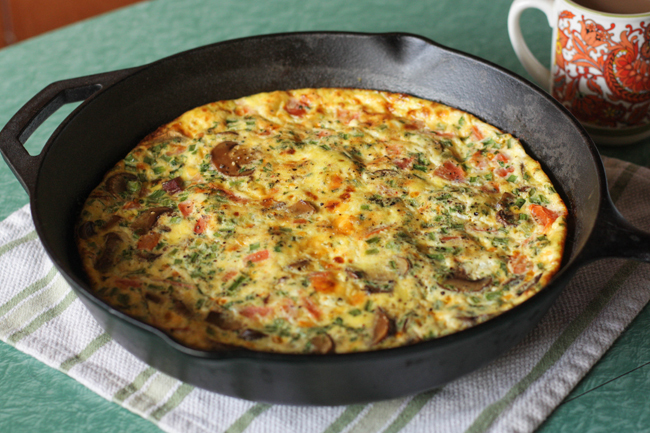 Combine ham and mushrooms with egg mixture, then pour mixture into heated skillet. 4. Let cook for about 5 minutes without stirring until edges start to set. 5. Transfer skillet into oven, and cook until egg is set (about 15-20 minutes). 6. Allow to cool for a few minutes, cut and enjoy! I topped mine with a bit of avocado. Oooh, I'm trying it this weekend! Oh wow, looks so delicious! yum, yum. this looks great. pinning!